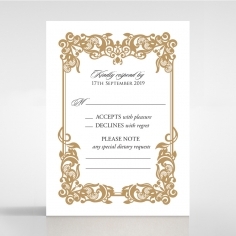 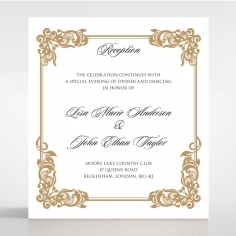 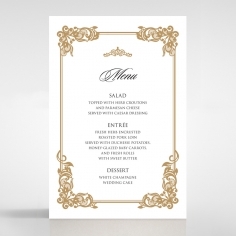 The ultimate in timelessness and understated opulence, this exquisite design in stunning and vivid pearlised white paired with lavish gold make this luxurious wedding invitation nothing short of breathtaking. 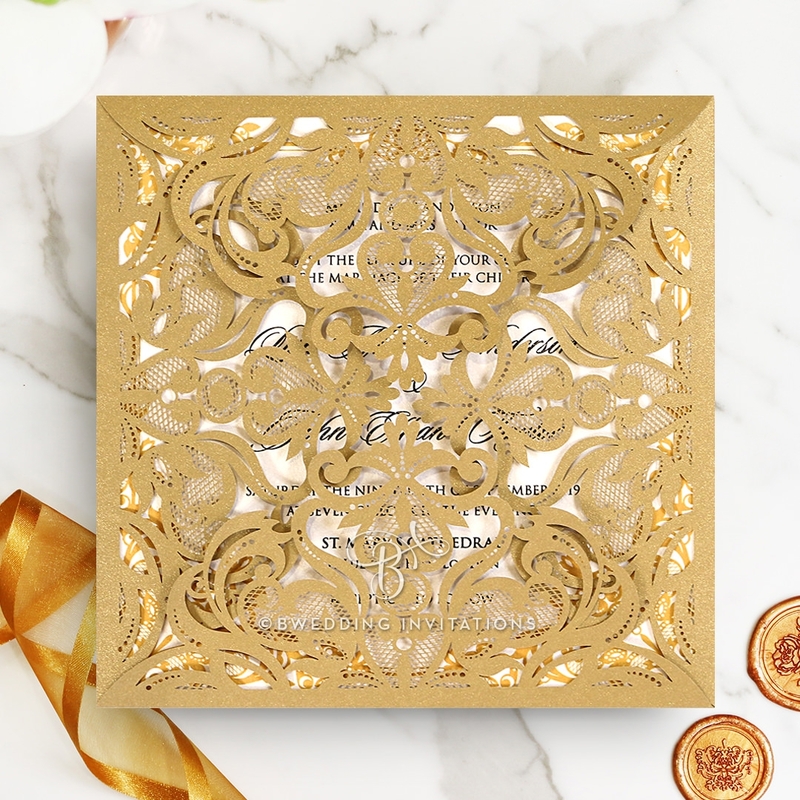 Using a stately golden brocade, intricately laser-cut Art Deco-inspired pattern wrap, this invite opens on all four sides to reveal a crisp ivory inner card with classical calligraphy with bullion embroidery for its borders. 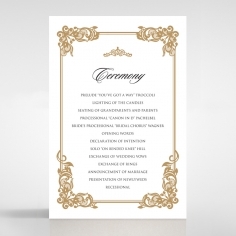 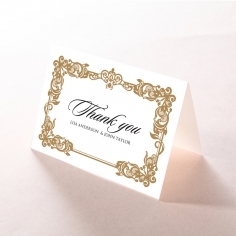 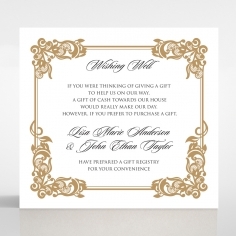 This invite comes with a pearlized white envelope and shiny silver inner lining. 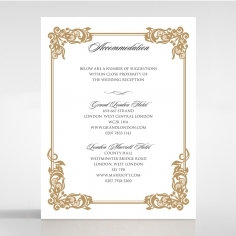 A design perfect to compliment the lush elegance of a classic wedding.